Join a winning team today! Mills Auto Group is a privately-owned dealership group, proudly serving both North Carolina and South Carolina with 13 dealerships since 2004! We boast a diverse, energetic, dedicated and fast-paced culture in which teamwork and ingenuity thrive. We strive to create an environment that is entrepreneurial, nurtures personal development and builds on unique talents. Team member passion and commitment to excellence have helped make the Mills Automotive Group a leader in the industry. It’s why the Mills Automotive Group stands out as a category leader and why people want to work with us, organizations want to partner with us and why clients come to us time and again as a leading resource for for all of their vehicle needs. 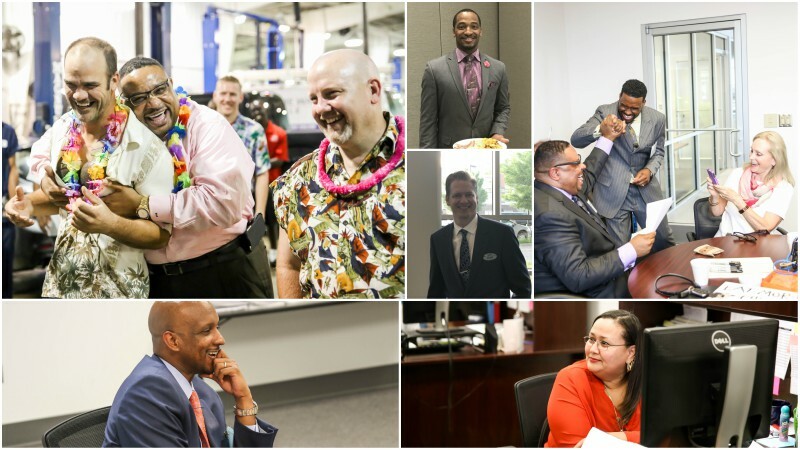 Above all else, it makes the Mills Automotive Group a special company, one that can attribute its success to its products, clients, and most importantly, its team members. Our team enjoys Career Training, Development & Mentorship programs, Leadership training and a Team Member Assistance program, which are company-wide focuses to help you grow both personally and professionally. We're interested in helping your career and adding to your resume because we know that better employees lead to happier customers! Add to your experience, develop your skill set and realize your potential with our team. Please take a look at our open positions on the Careers page and apply today!